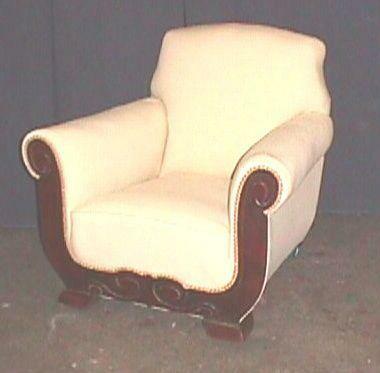 A classic example of a Biedermeier style chair. Restored and eupholstered in an off white calico. A bargain at this price. We are looking for distributors in USA and Continental Europe.